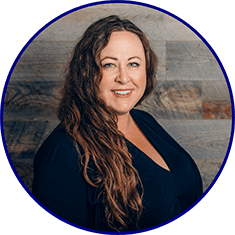 Aubras experience and accomplishments have led to her passion and expertise in mortgage and helping her clients find a better financial situation. She educates her clients on the options available to them and looks for ways to increase their cash flow. She helps her clients feel more informed and confident when choosing their loan, reducing the stress and anxiety many feel during the mortgage process. Her perspective from over 20 years of financial services experience, with the resources of a national firm, bring diverse lending capabilities delivered to you in a personal and supportive manner. She has lived in the greater Milwaukee area almost all of her life, and enjoys spending time with her husband Ron and their four children. Members of the military are dear to her heart as she is a military mom with many family members who have served. Aubra also enjoys traveling with her family and experiencing the culinary offerings of other cities, as well as her own.